Glowsworth Engineering offers a full range of comprehensive deep foundations construction services. Deep foundations are achieved by forcing vertical structure components several feet below the ground’s surface in order to secure the structure in place. 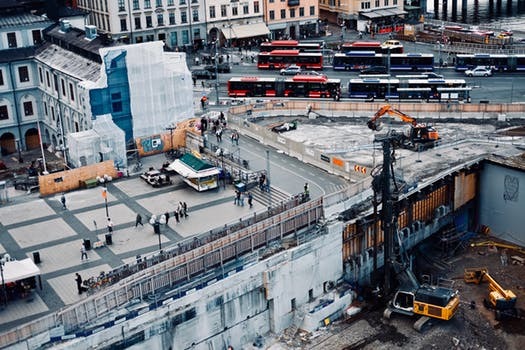 In the context of industrial and civil construction, deep foundations refer to the piles, piers, drilled shafts, and caissons that are embedded deep into the ground. Deep foundations are required when soil and superficial ground content is not stable or thick enough to support heavy loads. The load bearing capacity of a pile depends on soil and structural capacity of the material from which the pile was made. Pile foundations also provide a reinforcement against seismic activity and wind forces. Protection; Offshore, Wharves, Ports, Dolphin and Jetty Construction. Sheet Piling is one type of construction method which is used for retaining wall purposes. The installation of sheet pile is usually done using vibratory hammer. The sheet pile is vibrated into the ground to the desired depth. Sometimes, depending on the soil type and the depth, sheet piles can also be installed using piling hammers. The main purposes of sheet pile construction are for shore protection and erosion prevention. It is also applicable for basement construction or as cofferdam. The most common material utilized for sheet piles are: Steel Sheet Pile and Corrugated Concrete Sheet Pile (CCSP). Glowsworth Engineering has a large range of vibratory hammers and piling hammers to perform any kind of sheet piling duties. Combined with our extensive line up of cranes and offshore equipment, Glowsworth Engineering is able to perform any kind of sheet piling project, whether onshore or offshore.